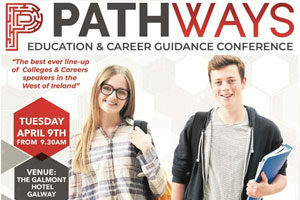 Pathways, a colleges and careers event hosted by the Galway Advertiser, will take place at The Galmont Hotel, Galway, on Tuesday, April 9, 2019 from 9.30 am to 5.30 pm. The objective of this event is to inform students in the West of Ireland on the numerous further education, training and employment options available to them on leaving second level education. 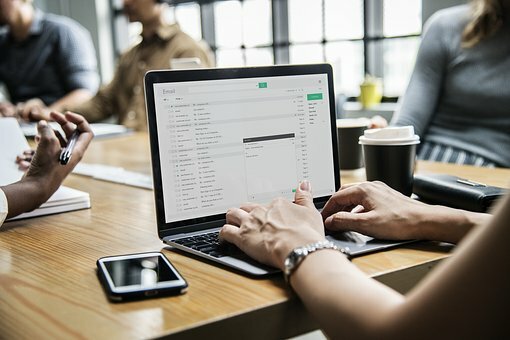 The organisers have lined up a number of speakers from both the education and industry sectors, including a number of speakers from local technology companies who will talk about their own experiences working in the STEM (Science, Technology, Engineering & maths) areas. The UX Studio’s Rachel O’Donnell and Dr. Niamh Shaw. Lecturers from the School of Law and The College of Engineering from NUIG. 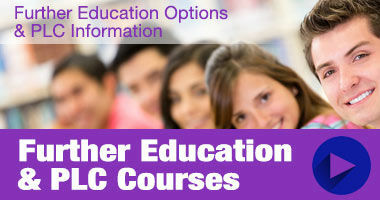 There will also be talks on the CAO, Apprenticeships, PLC courses and careers in nursing, the gardai, army and other areas. Exhibiting colleges include TCD, UCD, DCU, NUIG, GMIT, Limerick University, Maynooth University, AIT, Sligo IT, Limerick IT, GRETB and others.